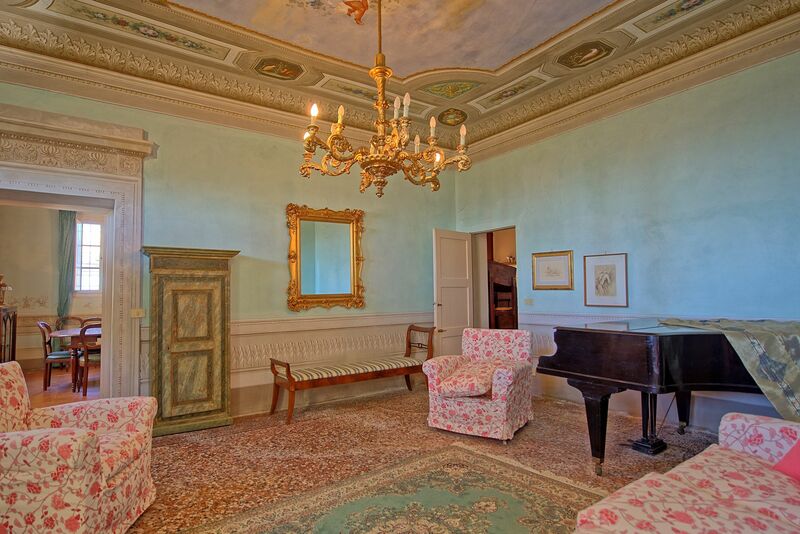 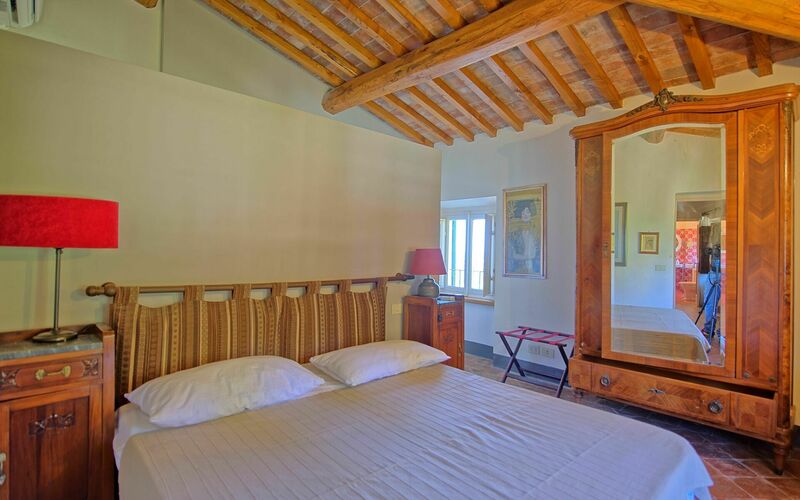 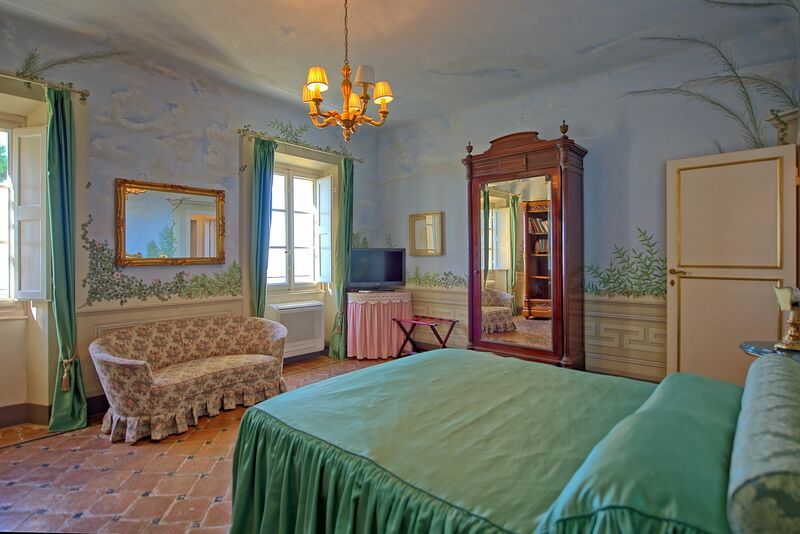 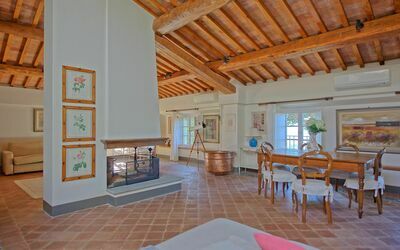 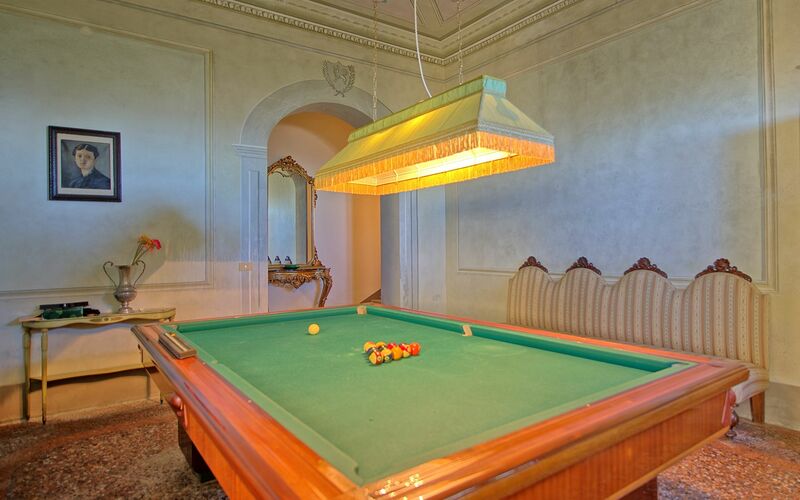 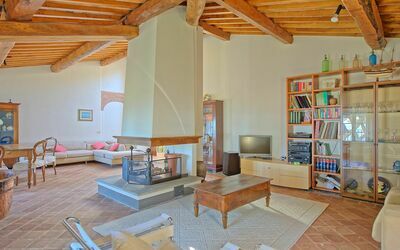 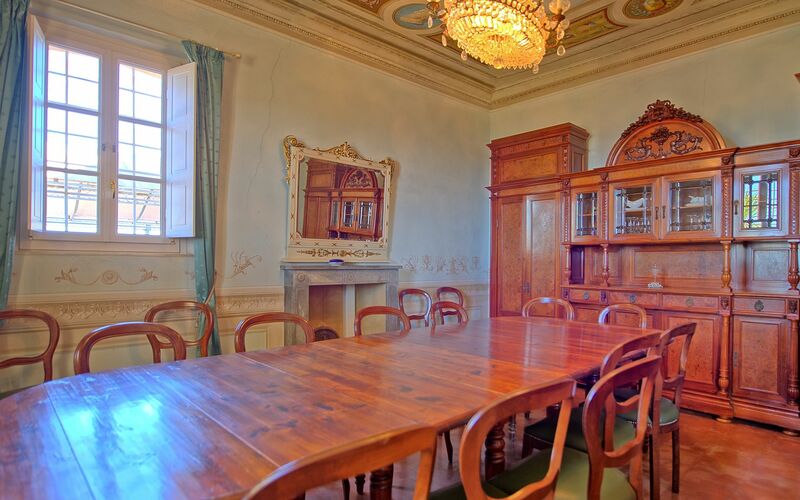 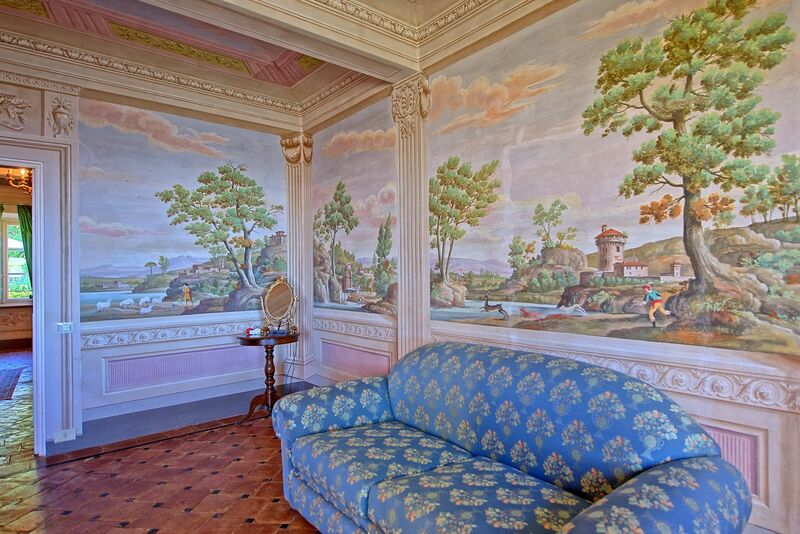 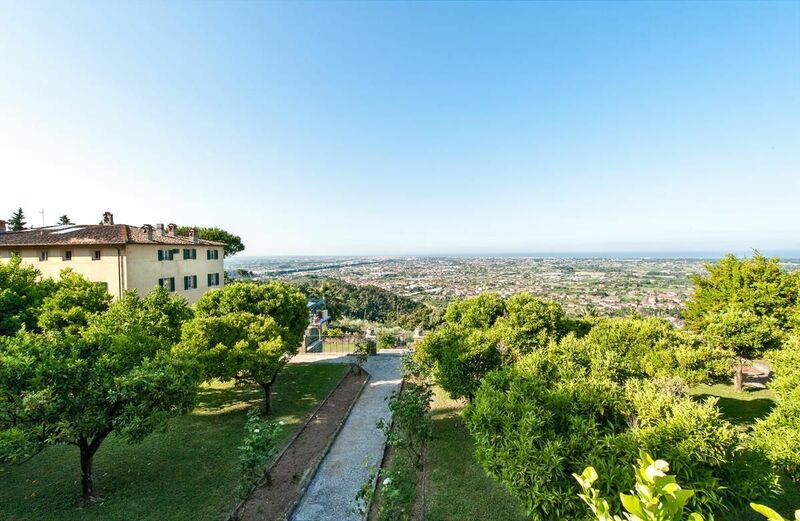 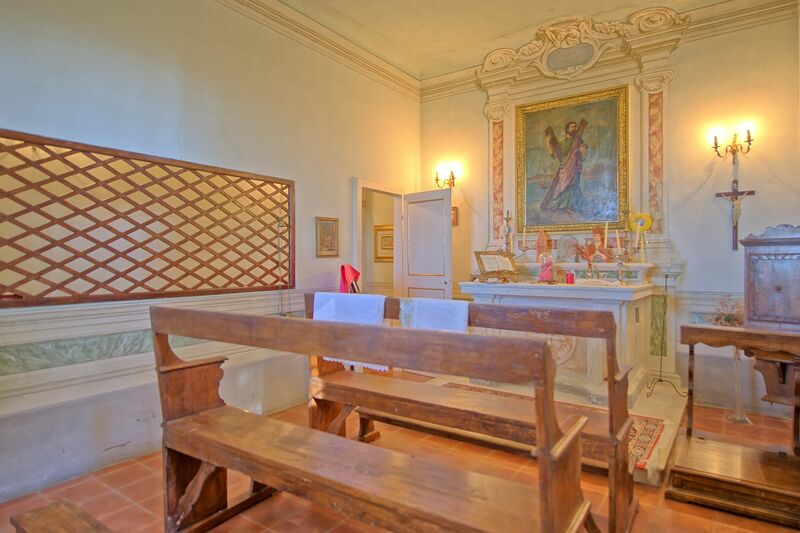 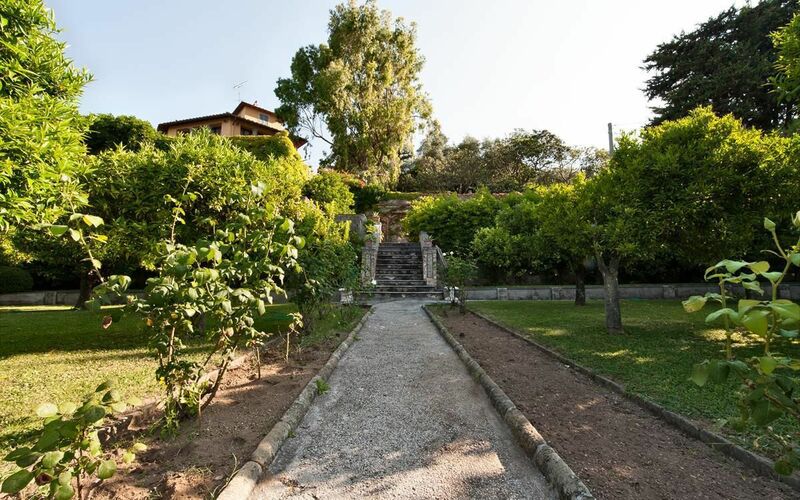 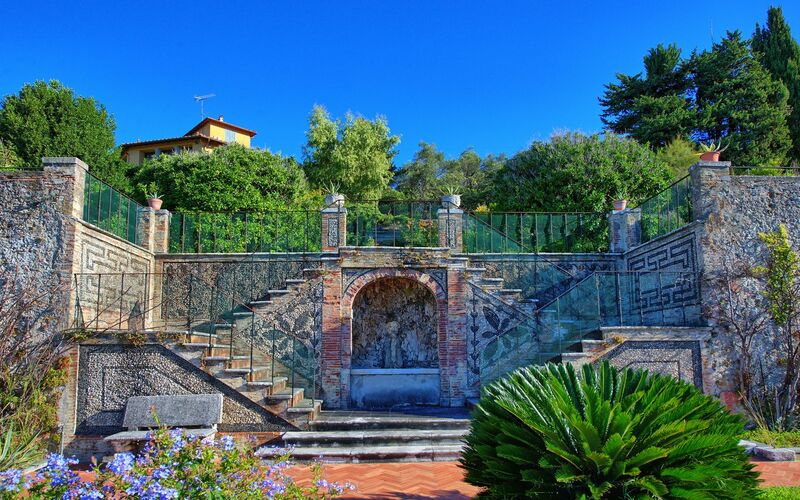 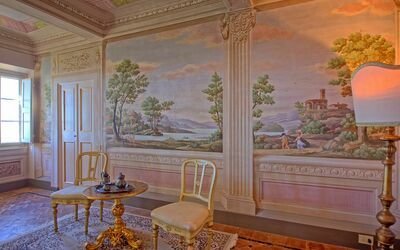 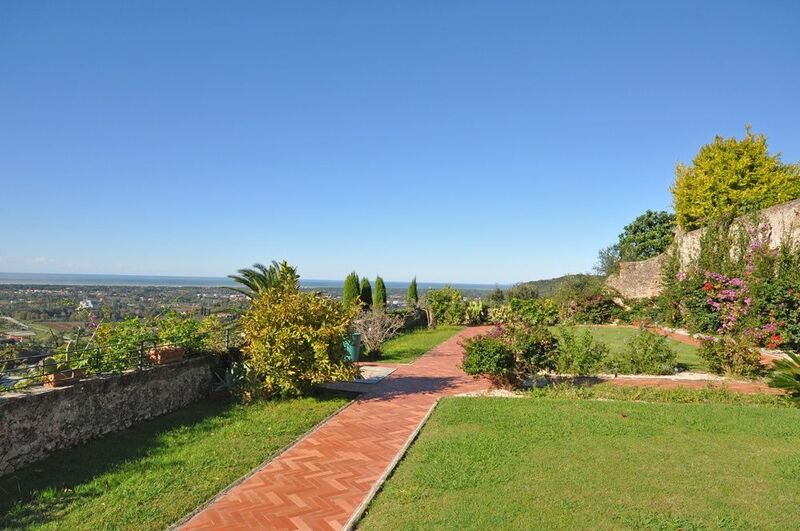 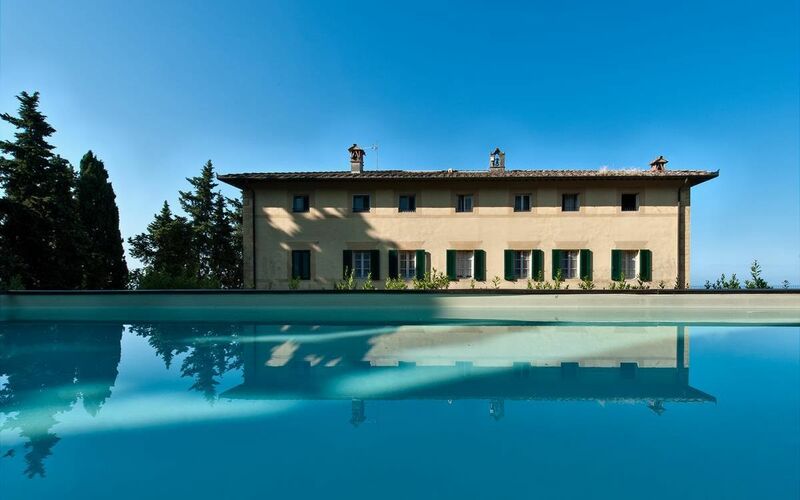 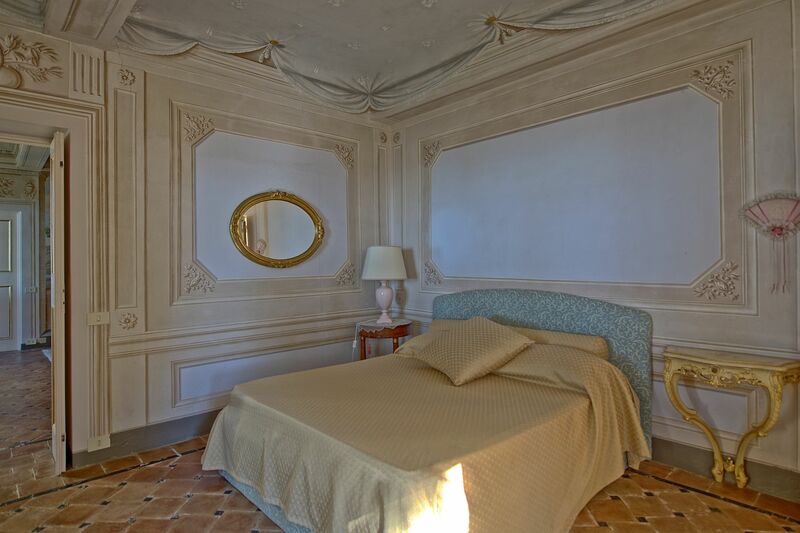 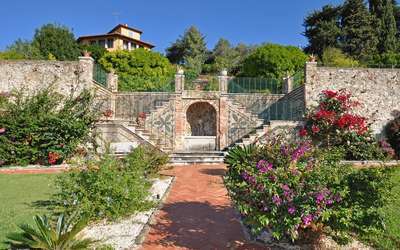 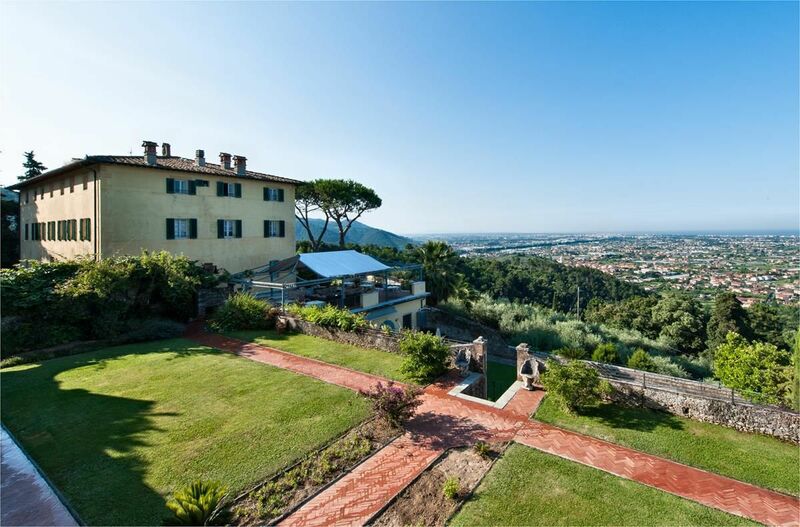 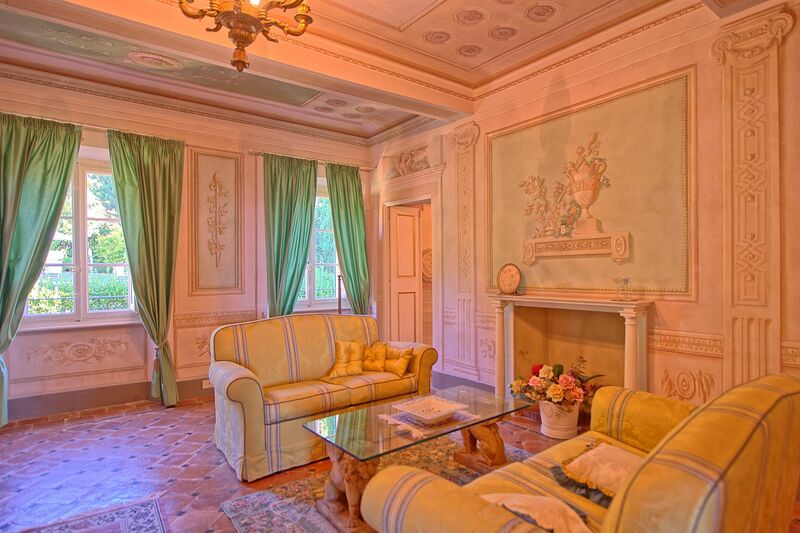 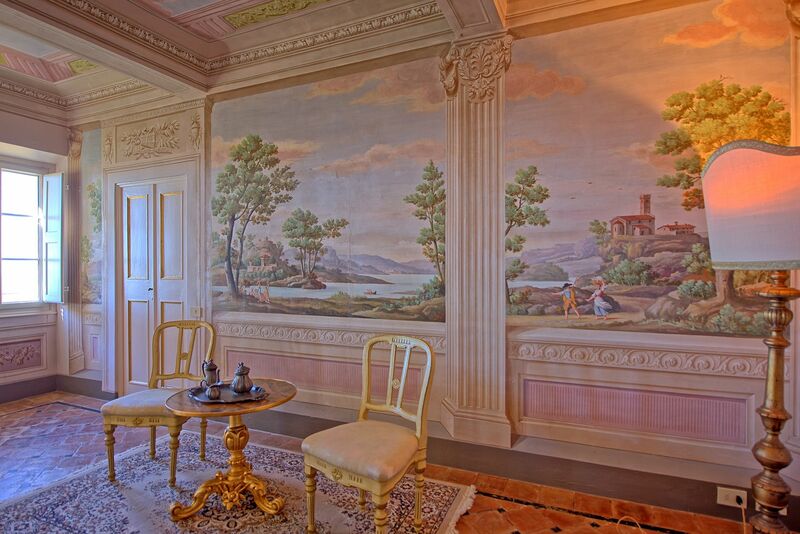 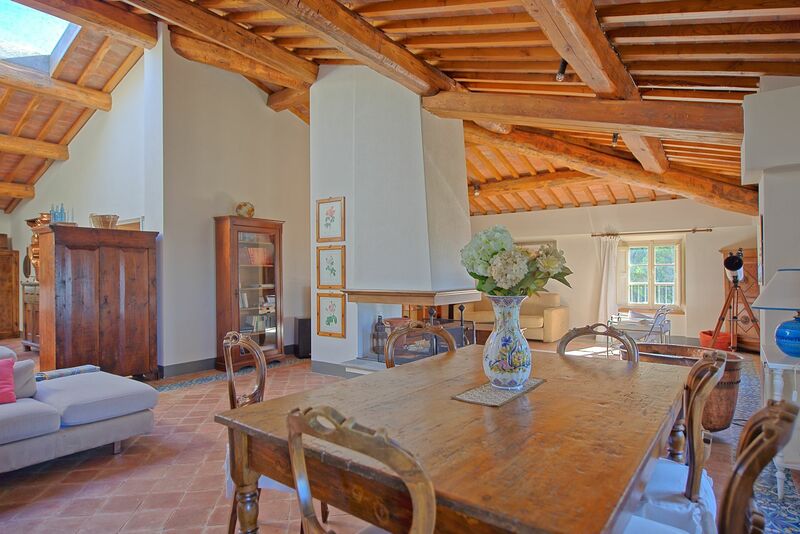 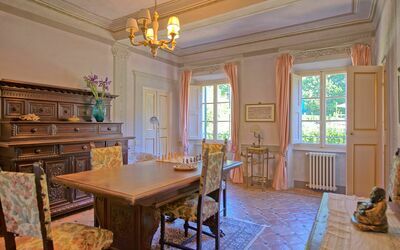 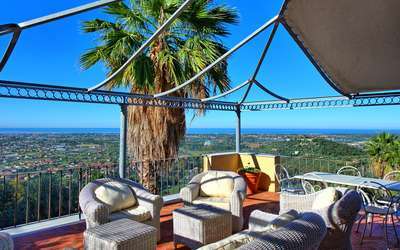 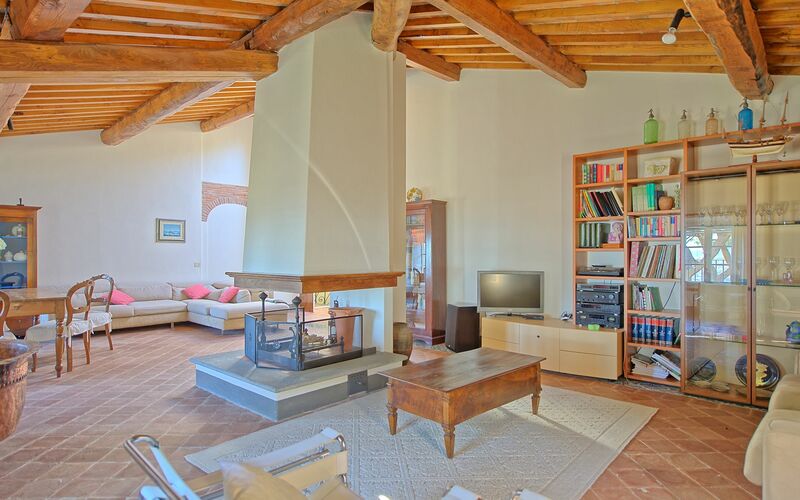 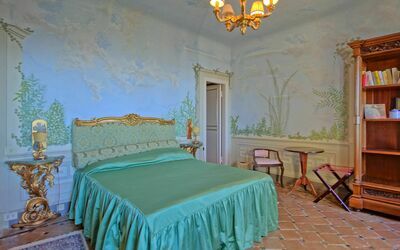 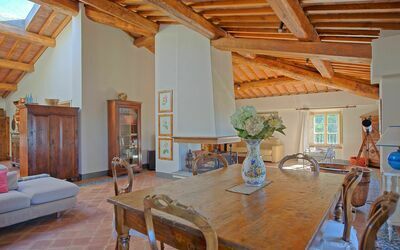 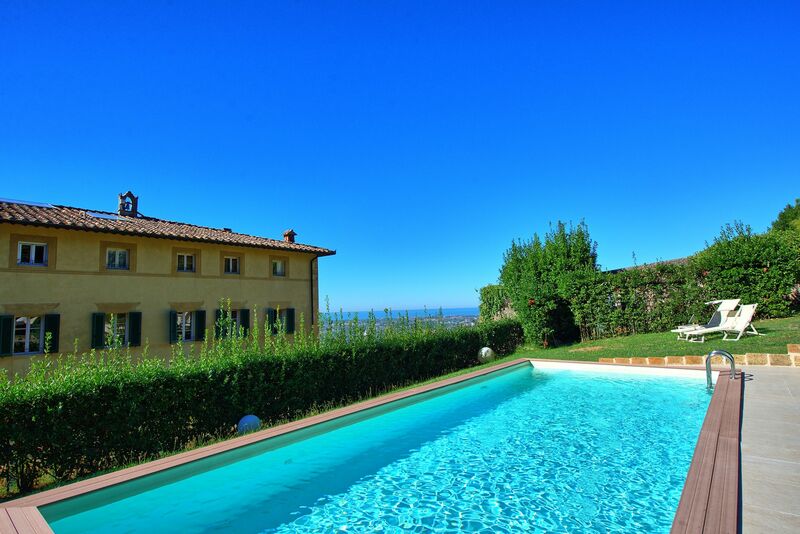 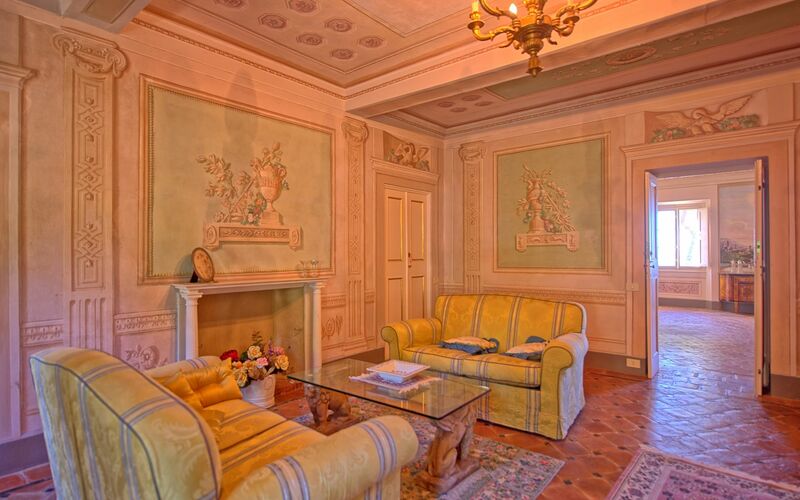 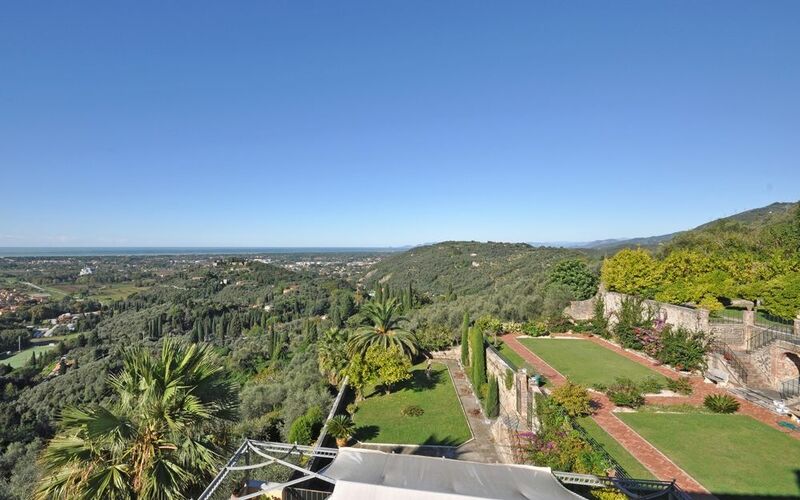 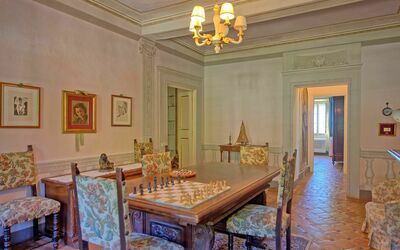 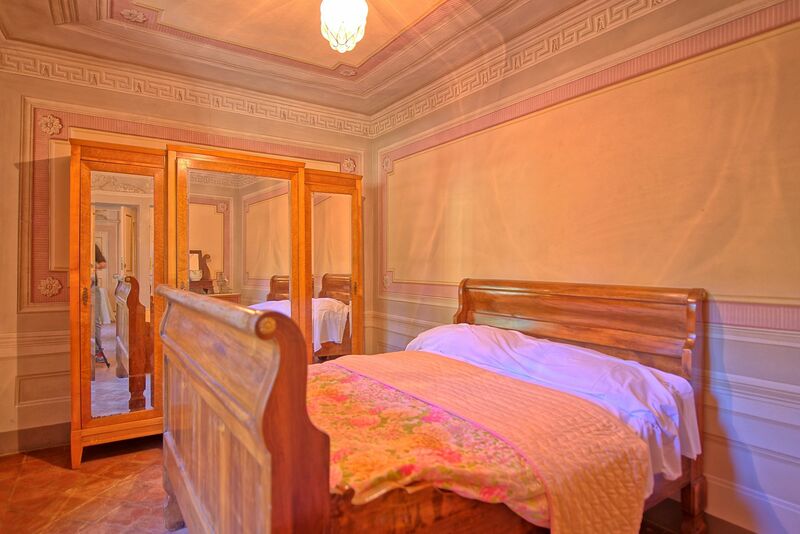 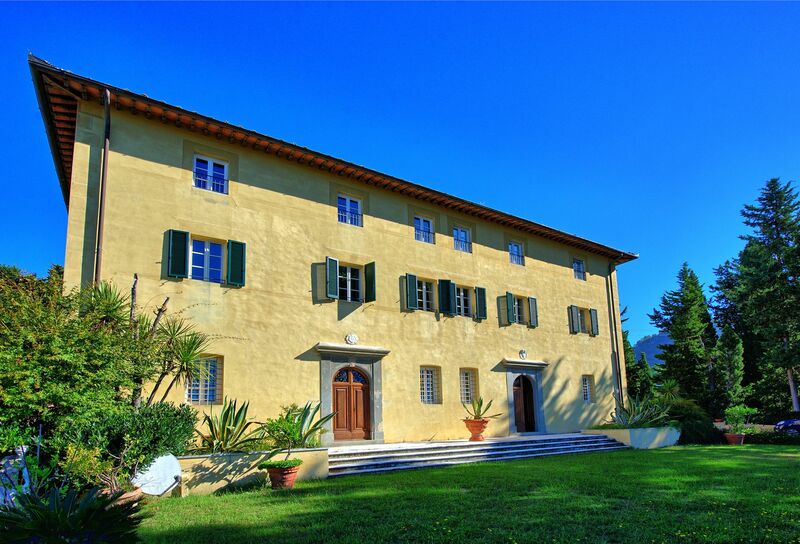 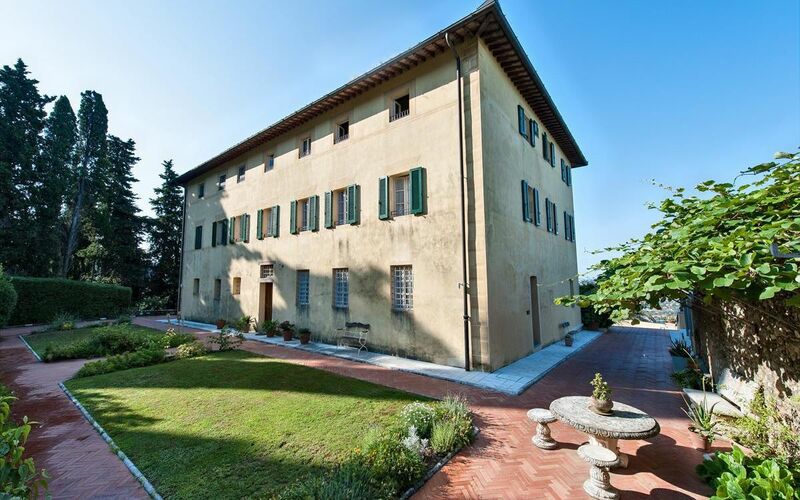 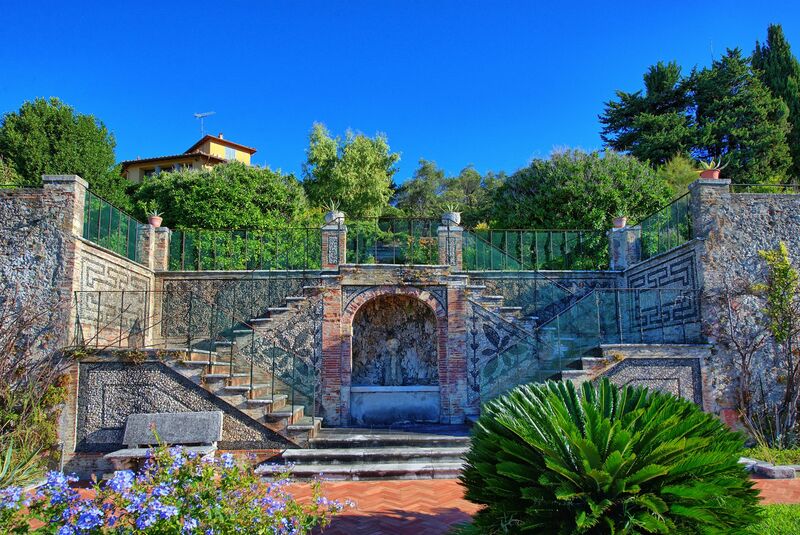 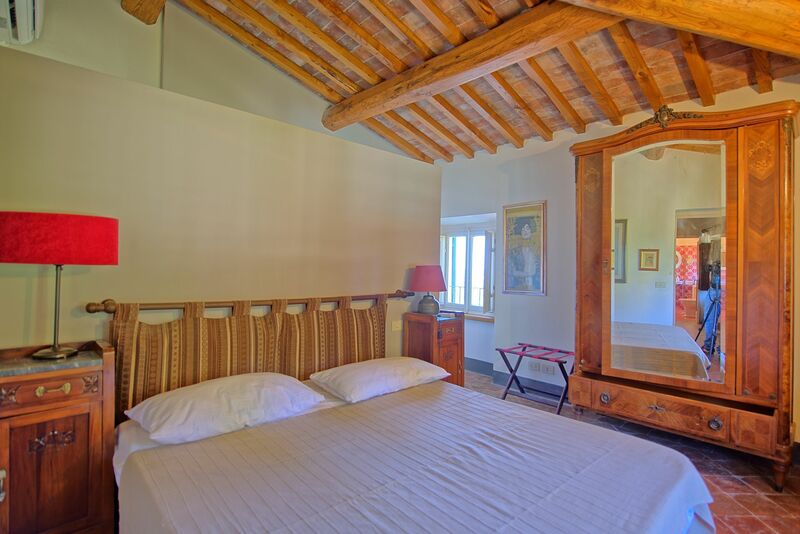 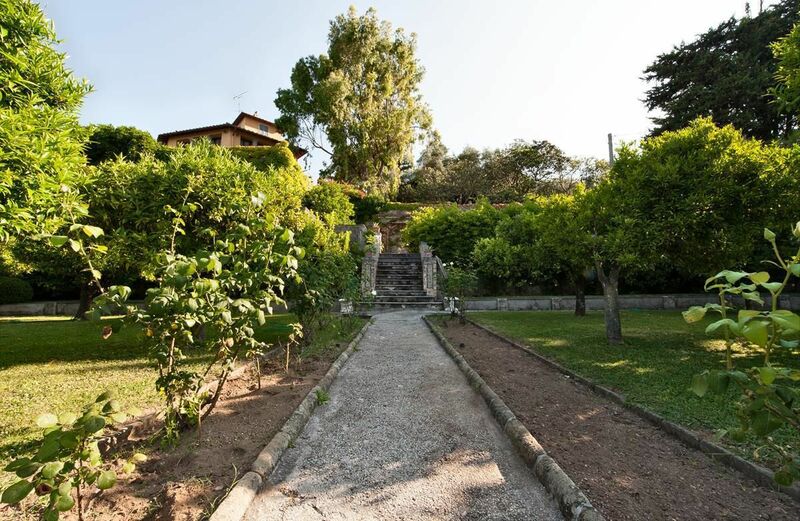 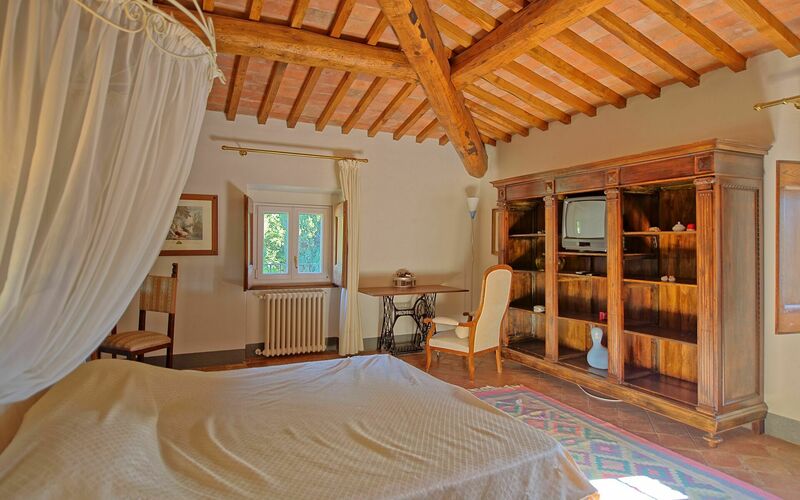 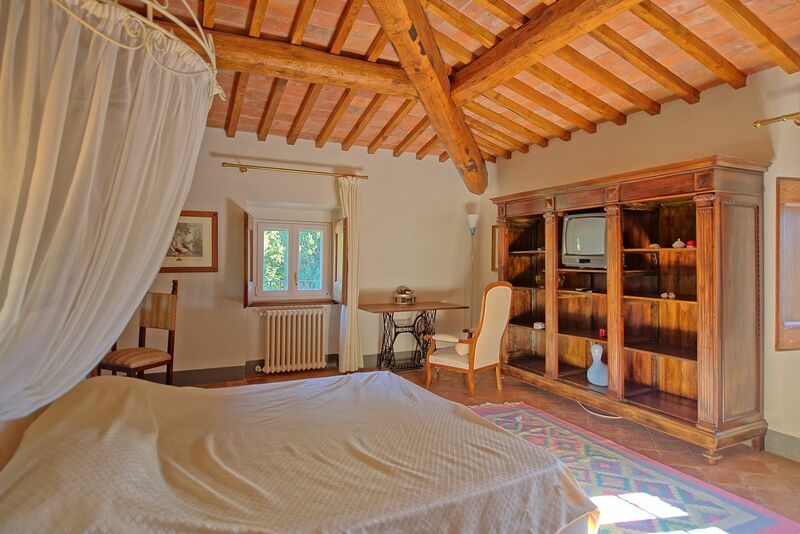 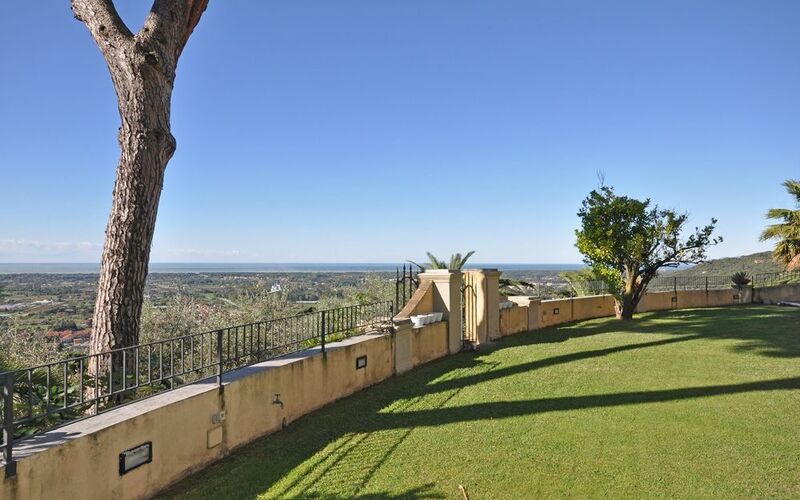 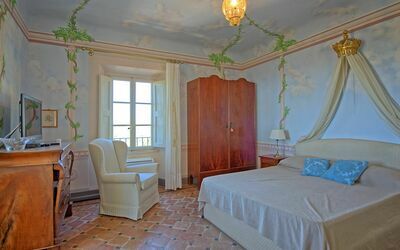 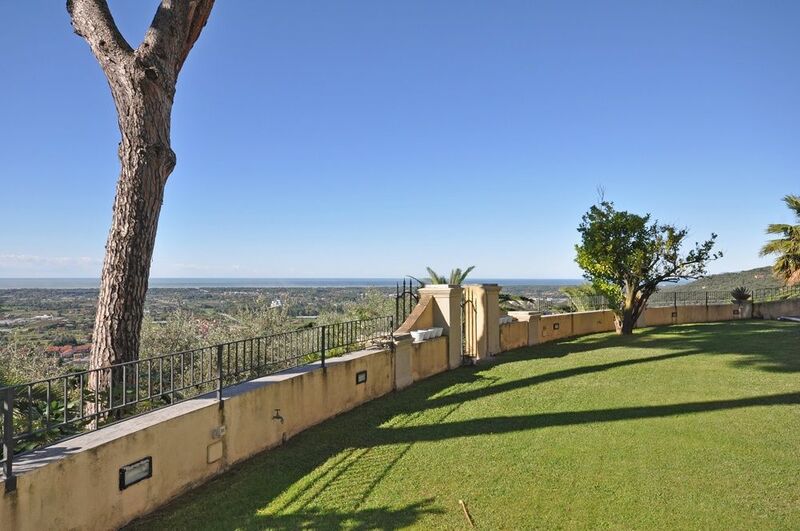 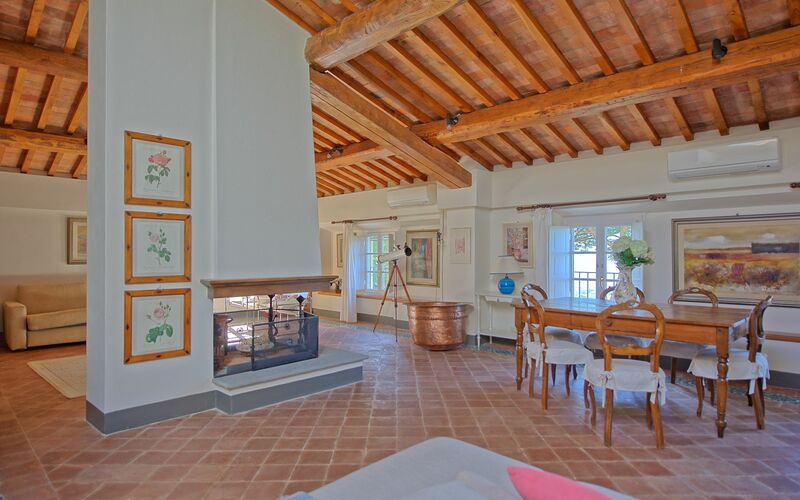 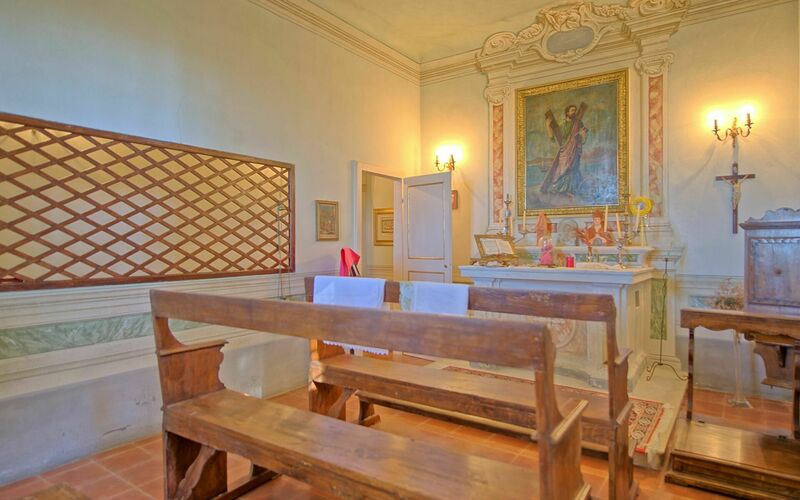 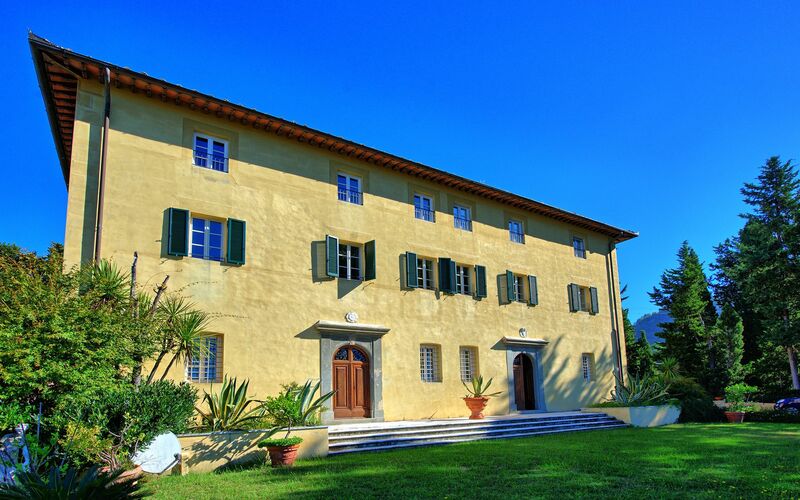 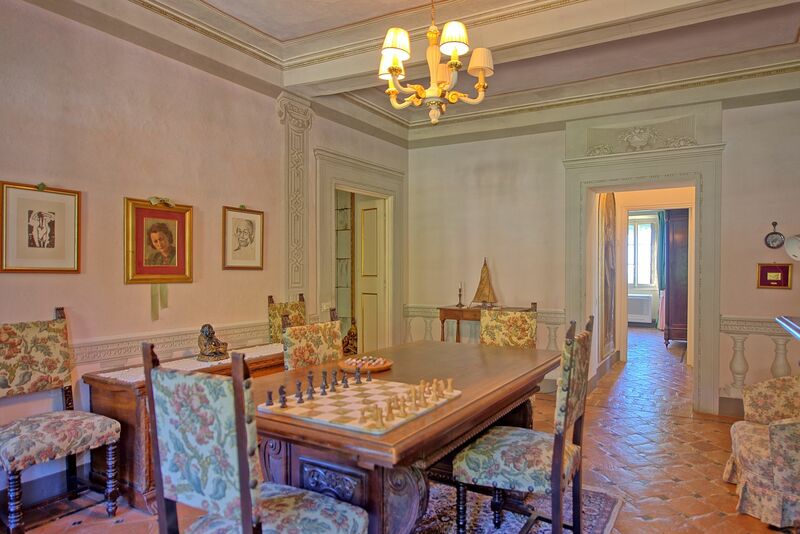 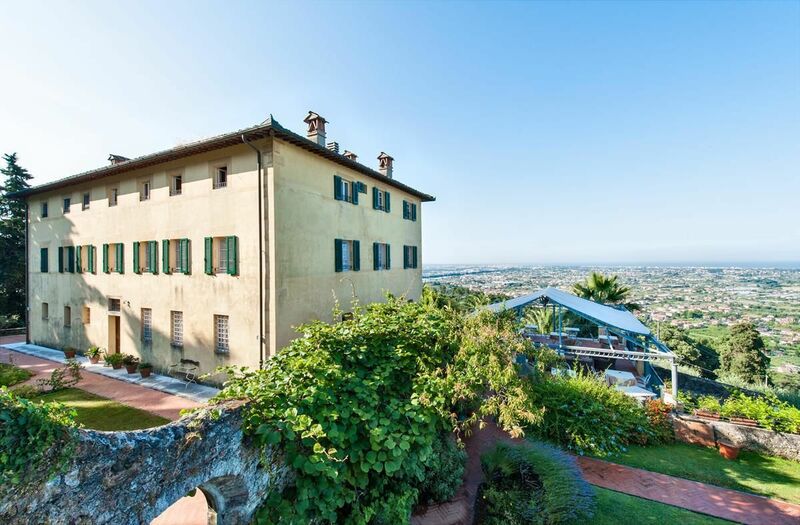 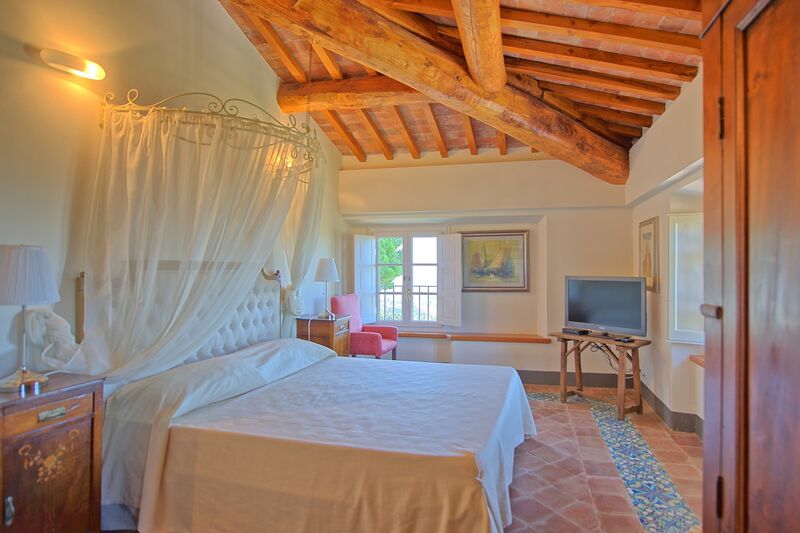 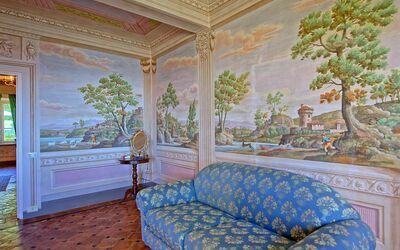 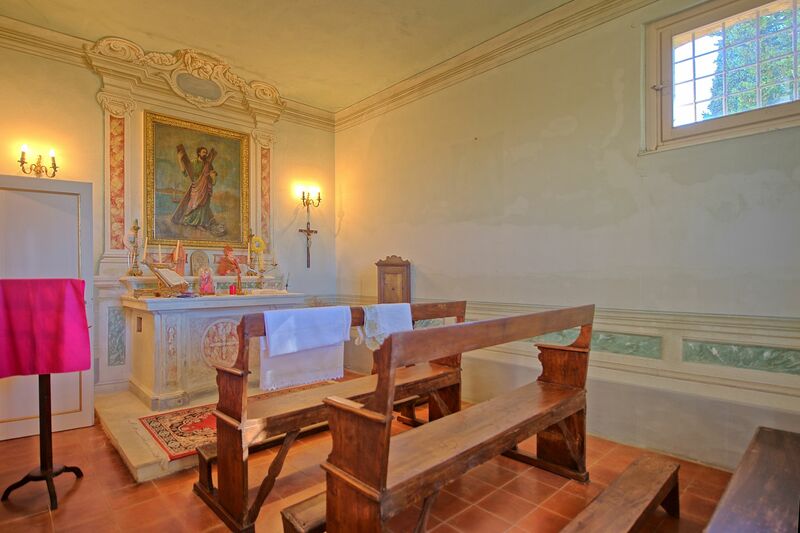 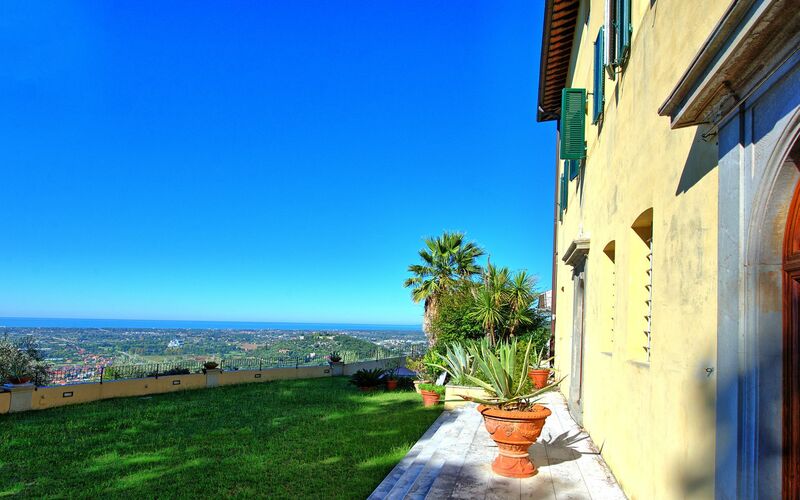 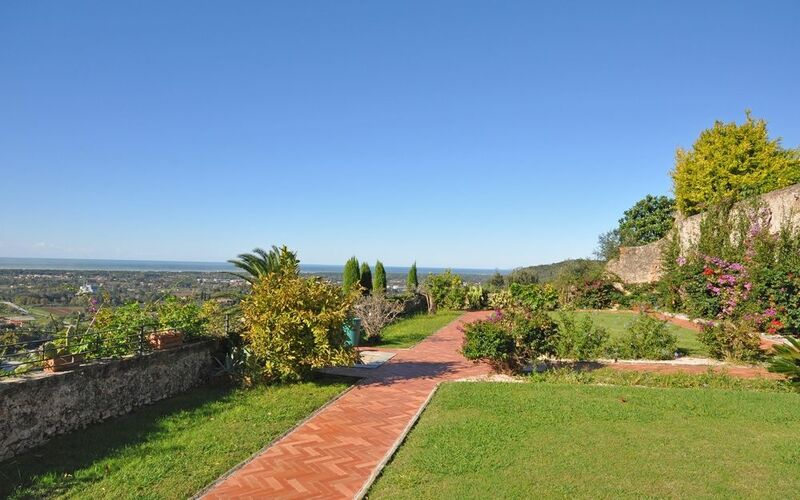 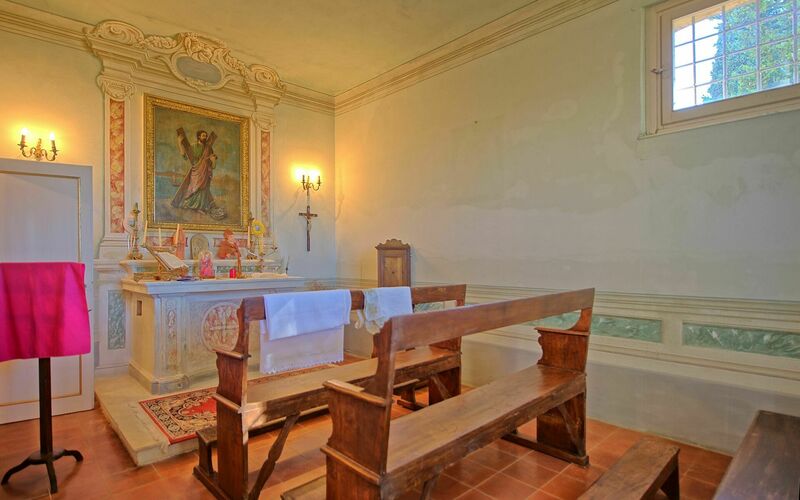 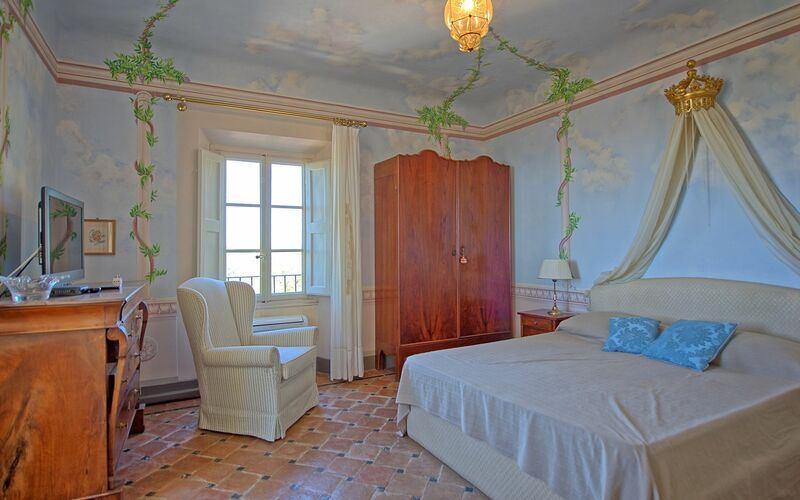 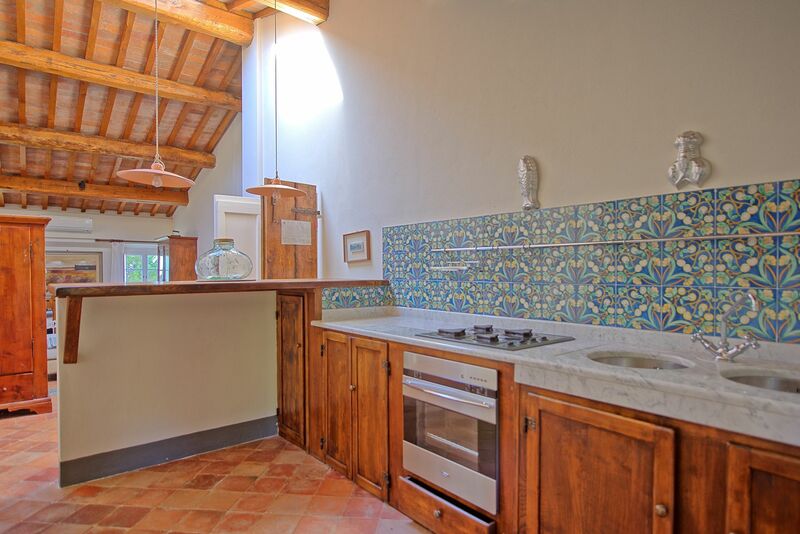 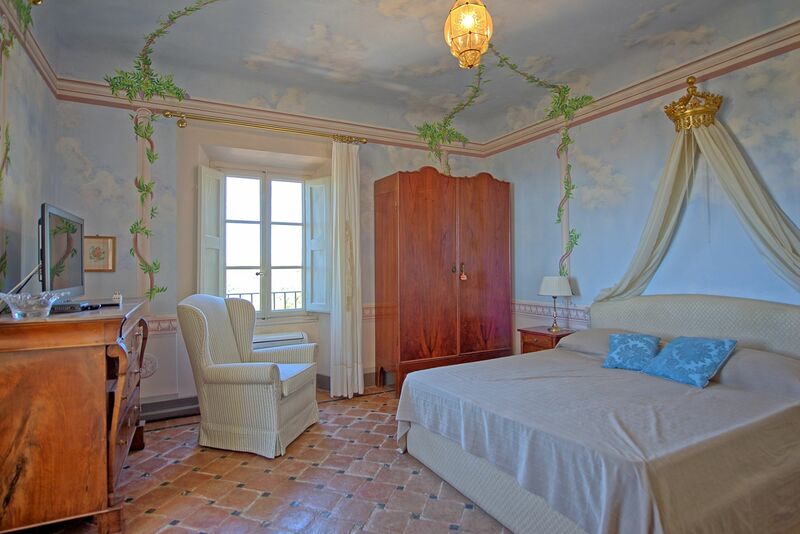 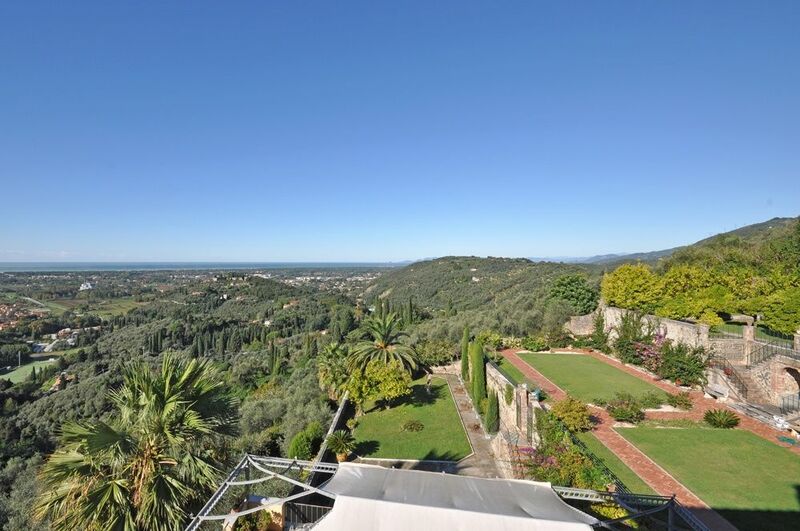 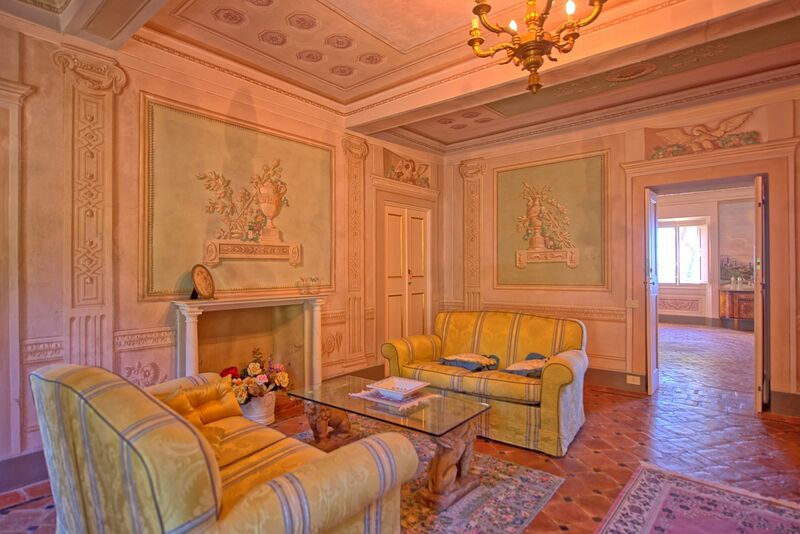 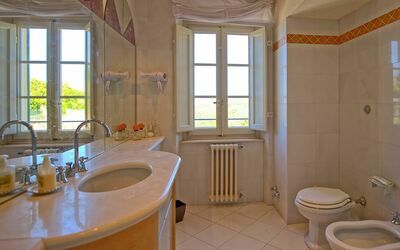 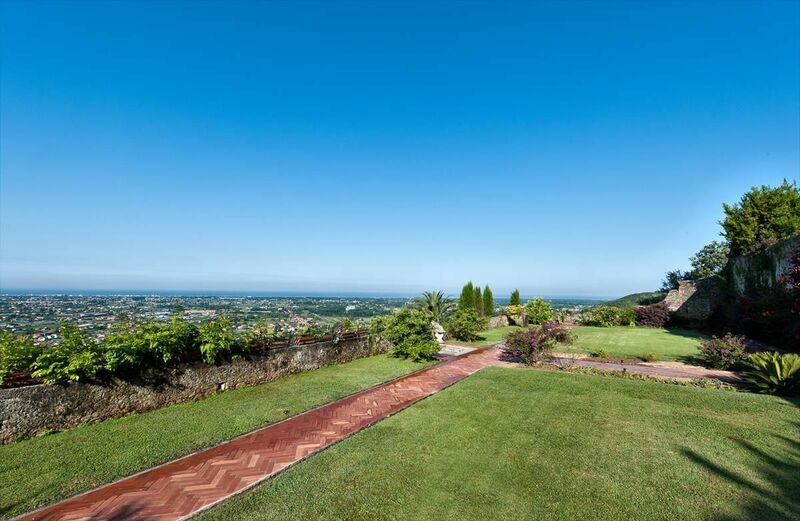 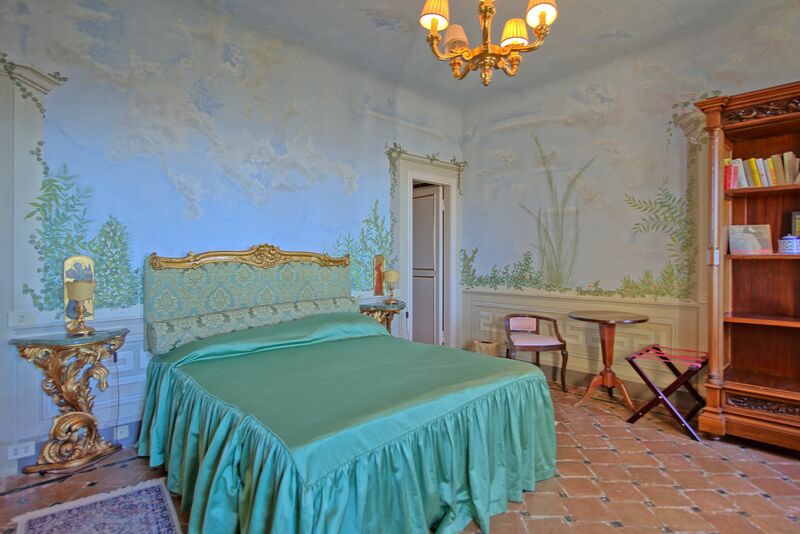 Beautiful, eighteenth-century villa situated in a dominant position on the hills of the Versilia coastline. 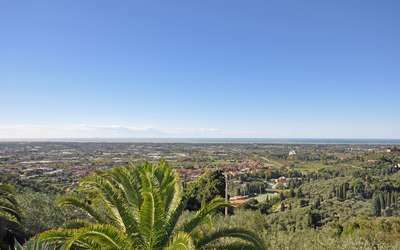 This property offers amazing views over the surrounding landscape extending to the Tuscan islands and the Cinque Terre in the distance. 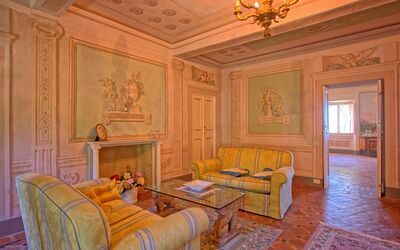 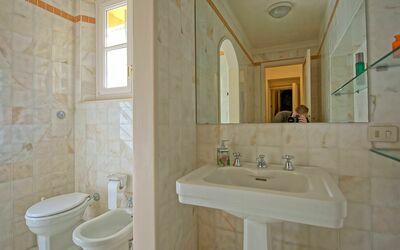 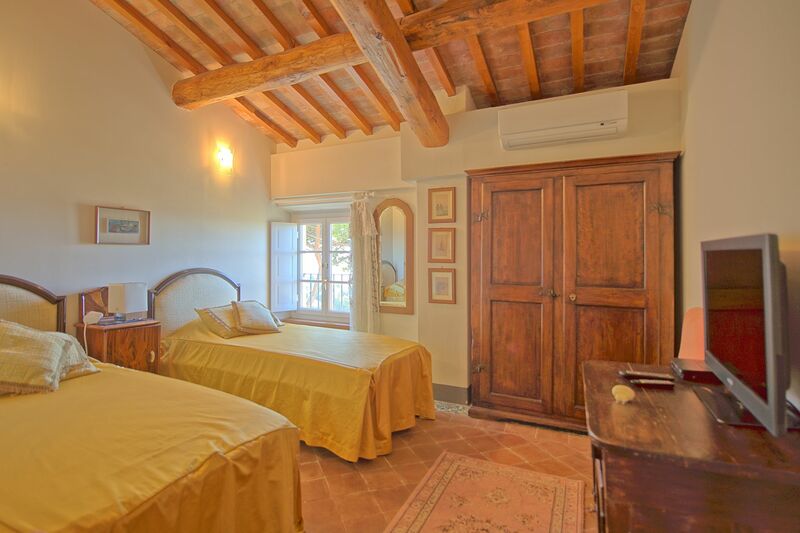 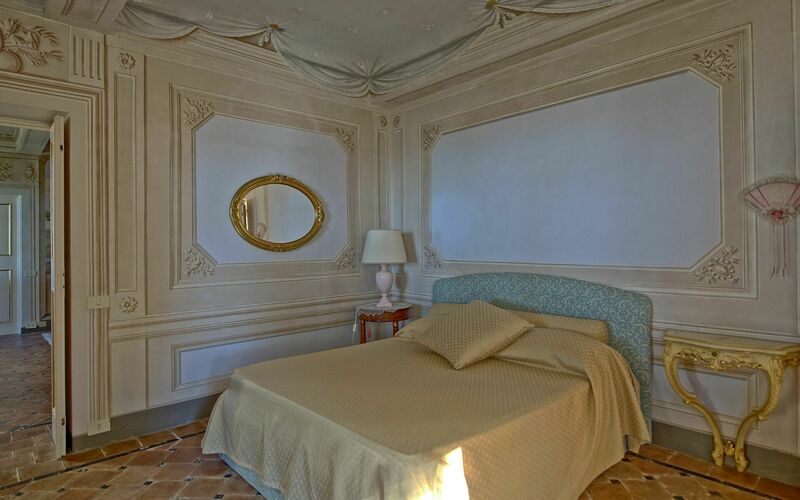 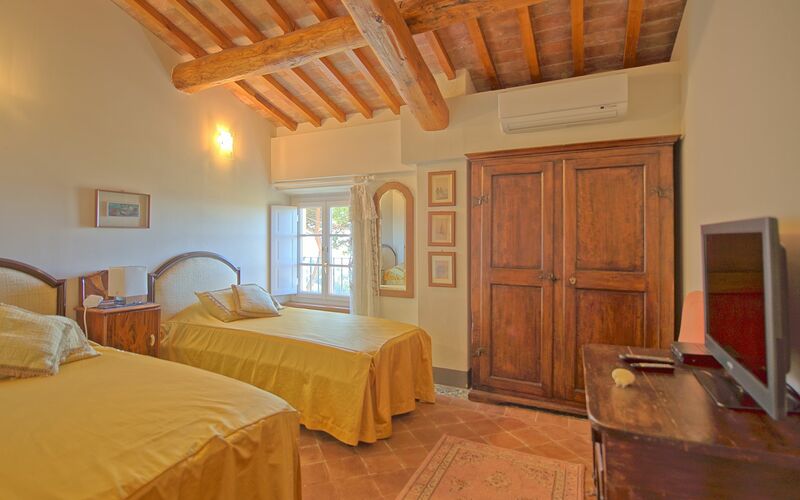 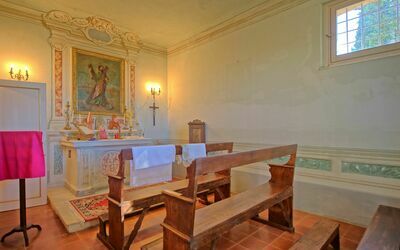 The villa has been recently renovated and provides fine interiors furnished with unique pieces, beautiful frescoed walls and comfort of any kind. 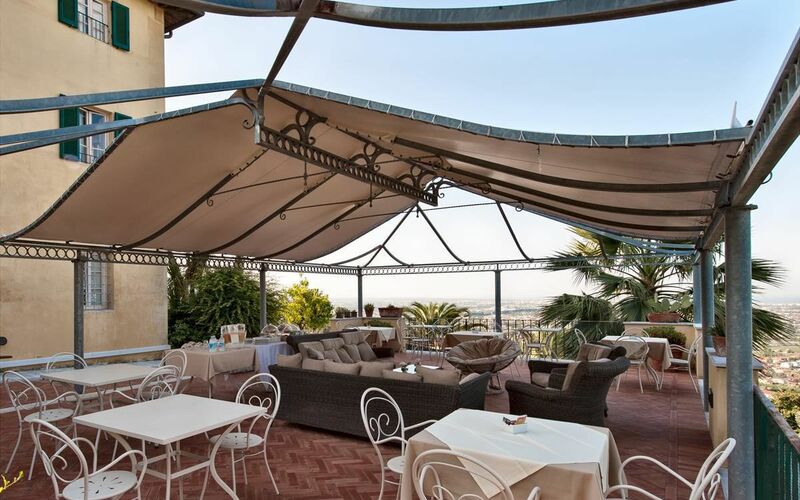 Outside there is a large, well-groomed, 8000-square-meter garden with fruit trees (tangerine, orange, kiwi and pear trees), fountains and a spacious panoramic terrace with a nice gazebo which is ideal for al-fresco dining. 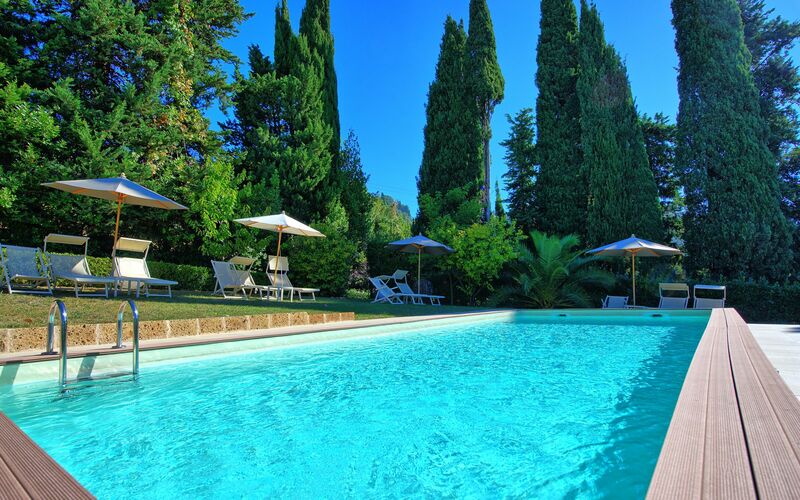 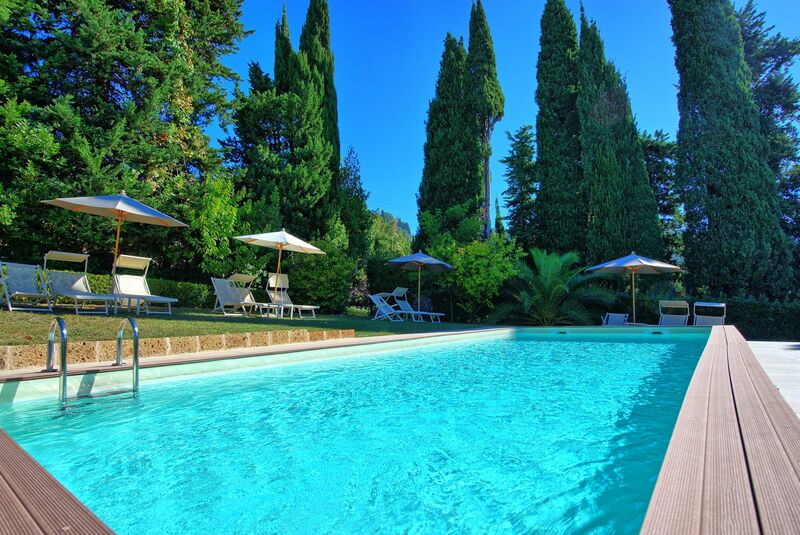 Guests can also enjoy use of a private swimming-pool. 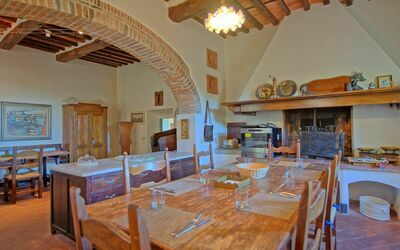 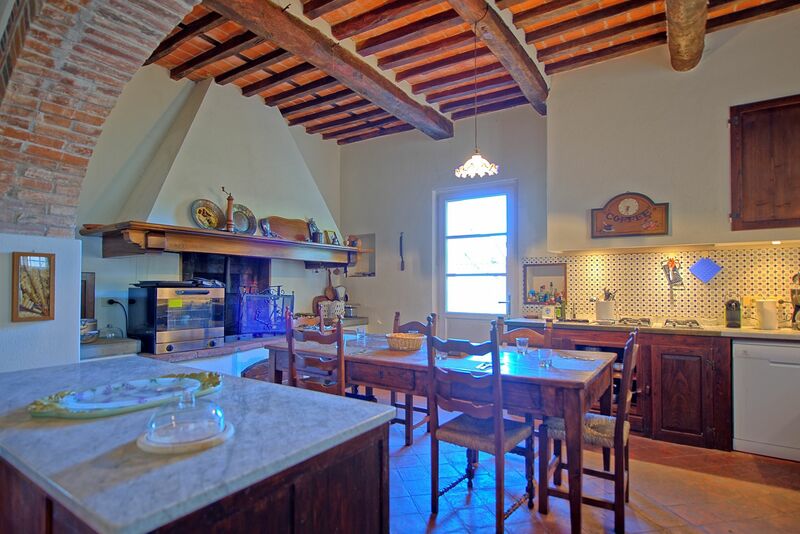 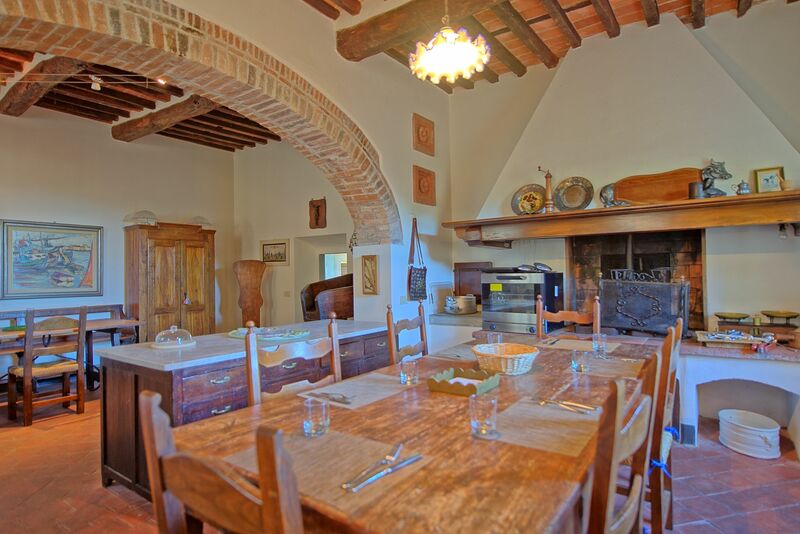 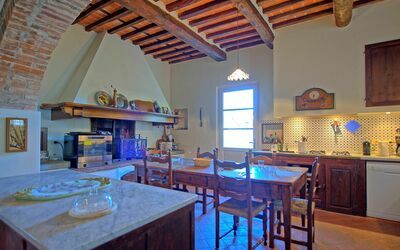 The property consists of a main house and a small apartment (located a few meters away) obtained from the restoration of an ancient mill (the wooden and iron mill machineries are perfectly preserved inside the house). 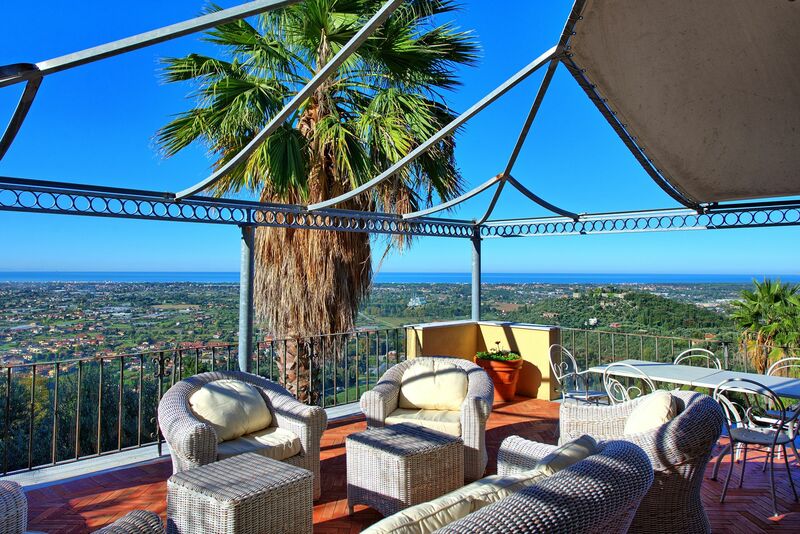 This rental property is in easy reach of the coastline (approx. 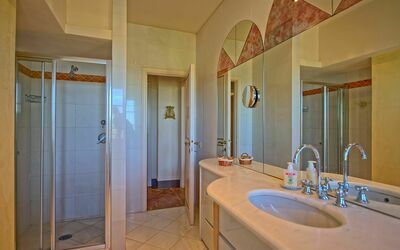 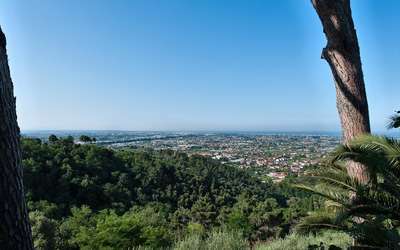 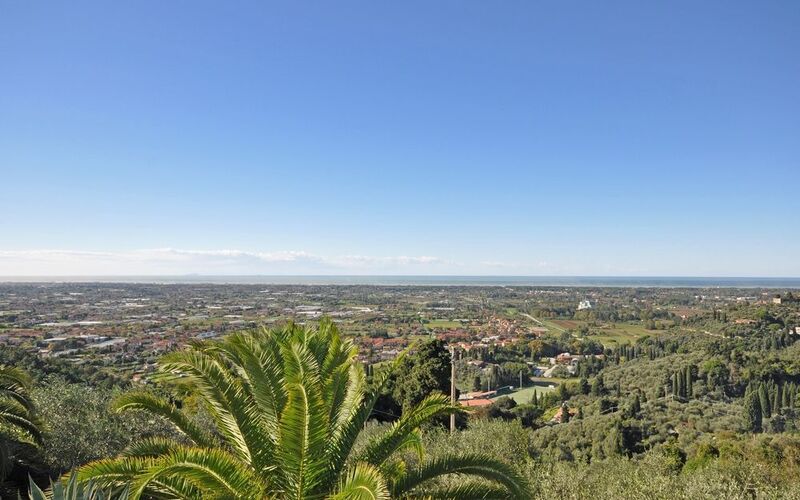 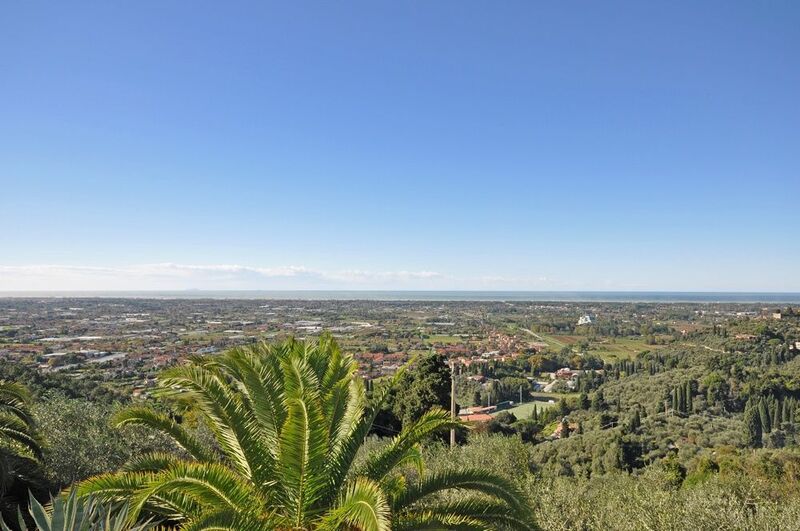 5 km away) and of the seaside resorts of Viareggio, Lido di Camaiore, Marina di Pietrasanta, Forte dei Marmi offering nice beaches, excellent restaurants, shopping facilities and nightlife. 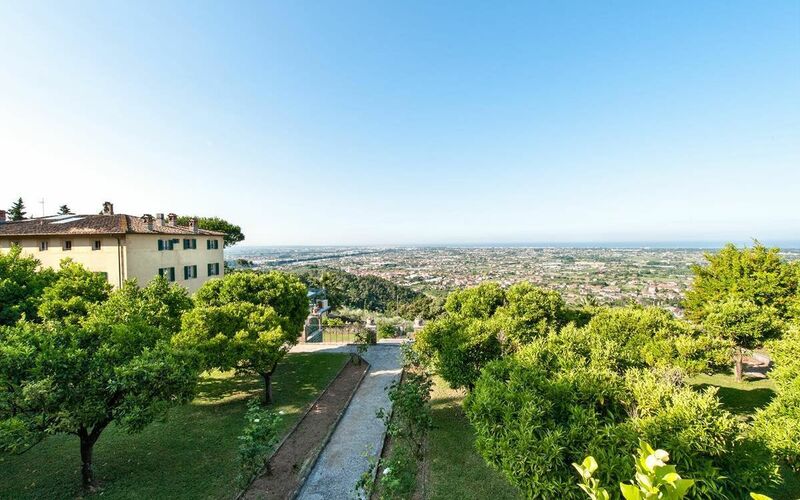 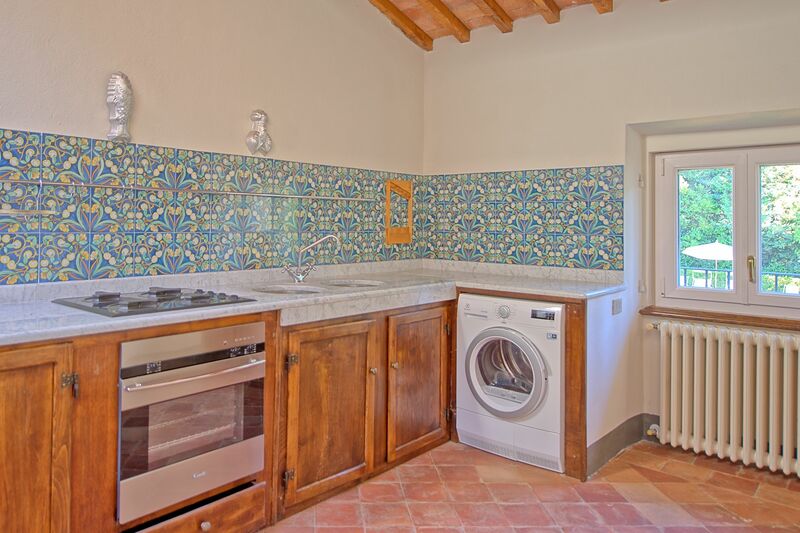 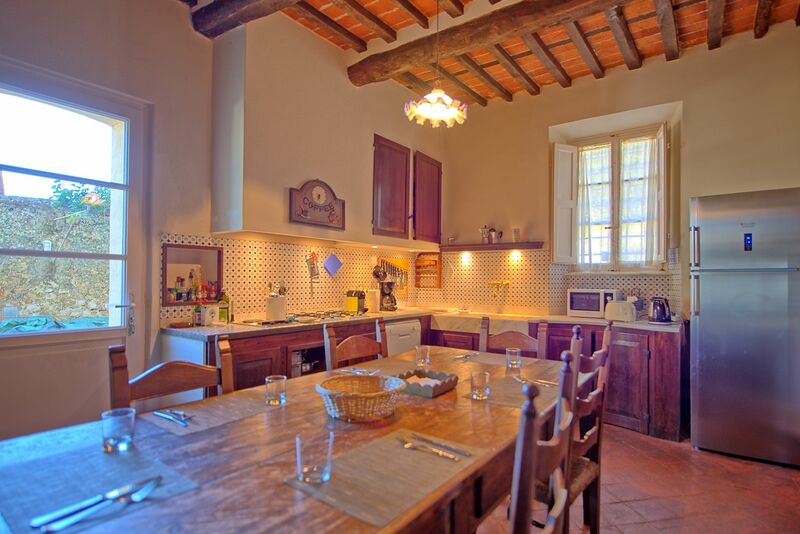 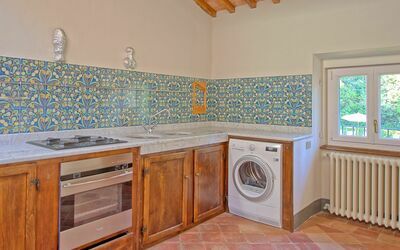 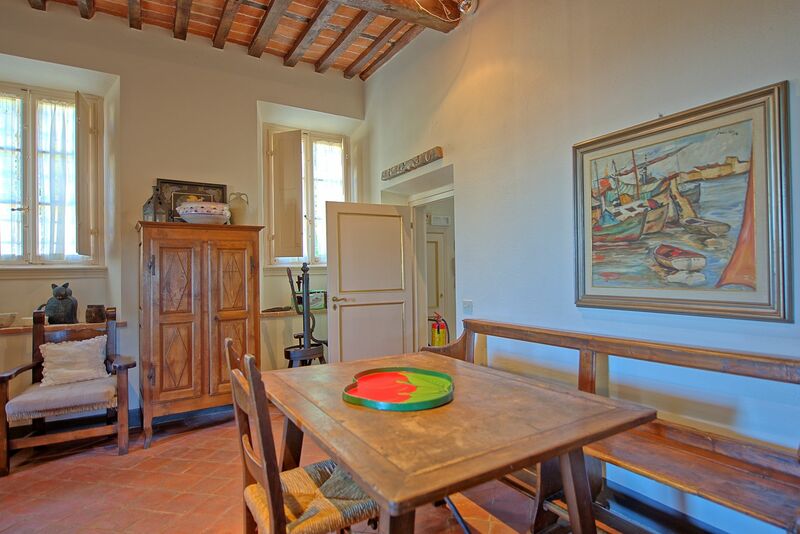 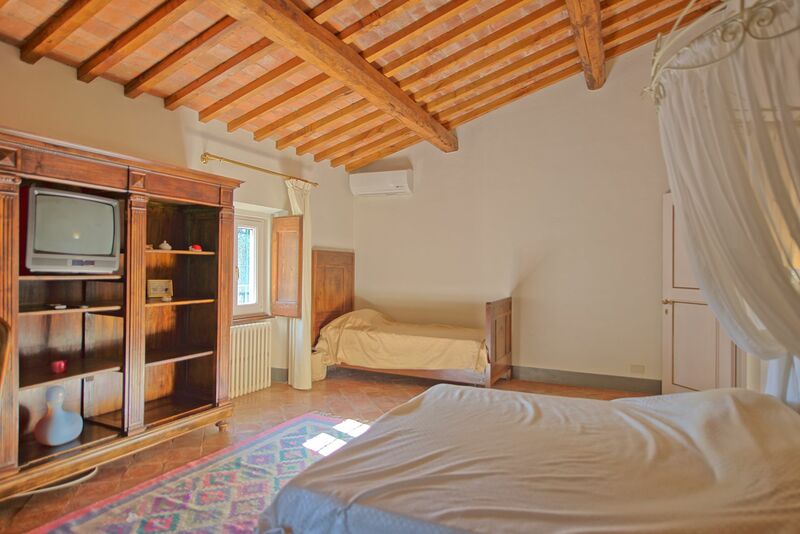 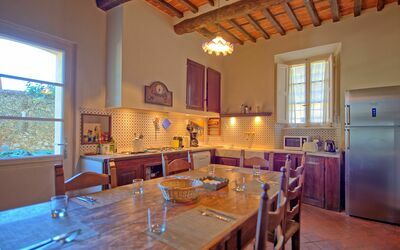 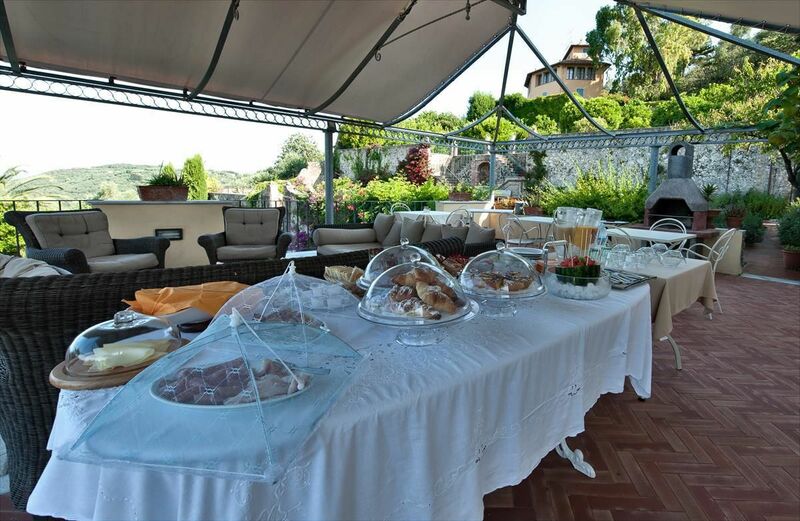 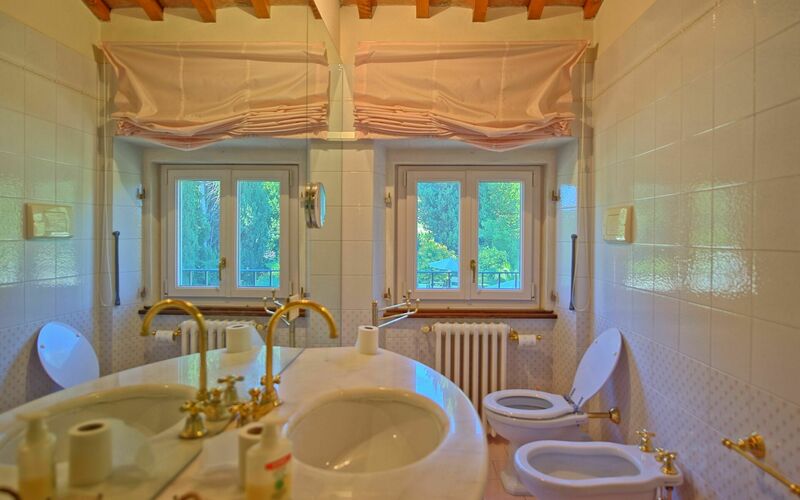 The property’s location is also ideal for visiting some of the most beautiful cities in Tuscany such as Pisa, Lucca, Montecatini Terme, Florence and the Cinque Terre region. Distances: shops of all kinds approx. 2 km away, Pietrasanta 3 km, Camaiore 6 km away, Pisa and Lucca circa 30 km, Montecatini Terme 60 km away, Cinque Terre approx. 60 km, Florence 105 km away. At guests’ disposal: large, furnished outdoor areas, private swimming-pool (10 x 4 m – depth 1,4 m), billiards, large gazebo ideal for al-fresco dining, barbecue. 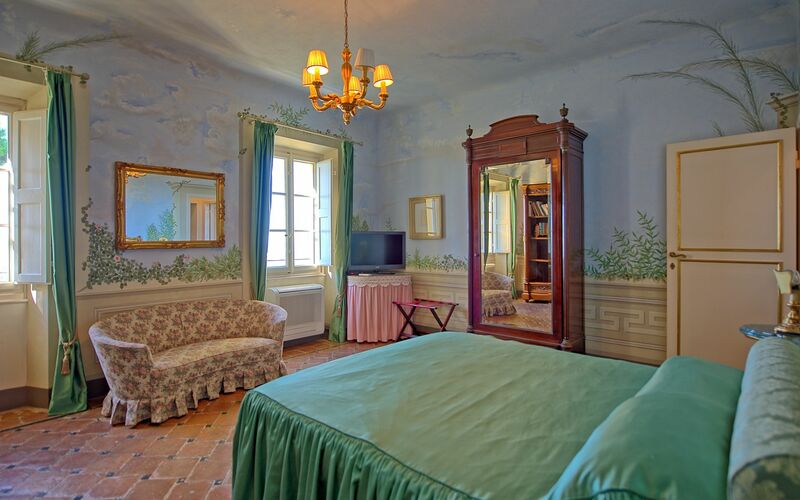 All of the bedrooms and the rooms on the second floor provide air-conditioning. 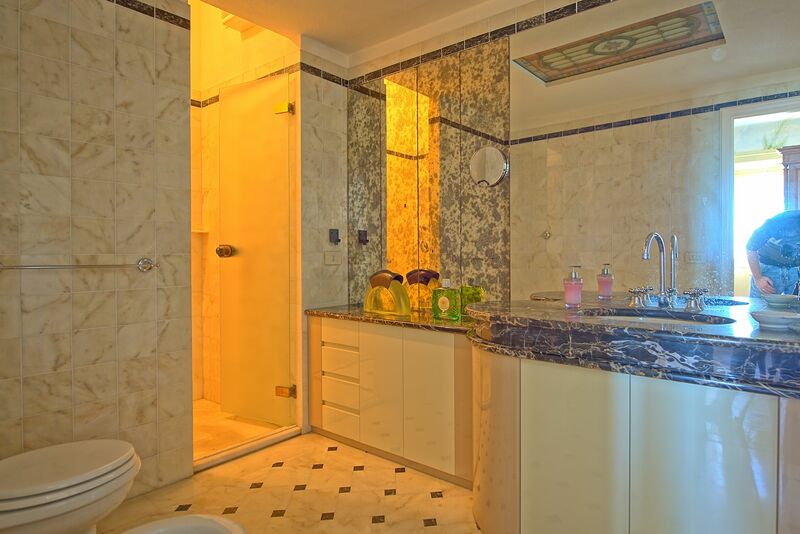 Mini-bar available in the bedrooms, hair-dryer provided. 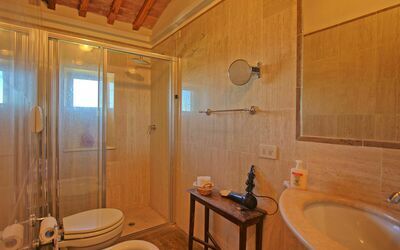 Additional services included in the rental price: maid service 4 hours twice a week (on Tuesdays and Thursdays). Baby bed available. 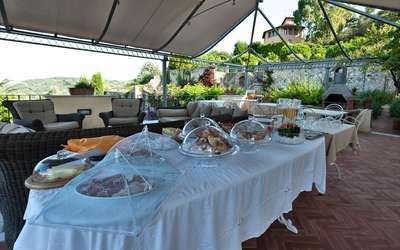 Additional services to be paid on the spot: Chef service upon request. 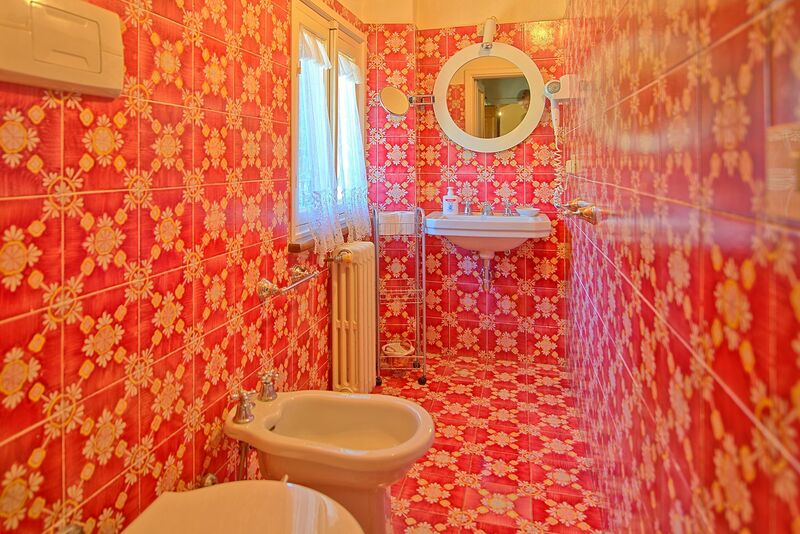 Extra cleaning service ( 20,- / per hour). 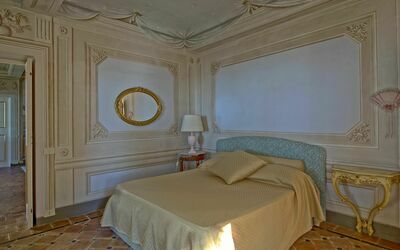 Possibility of hiring 2 extra beds (to be agreed at reservation). 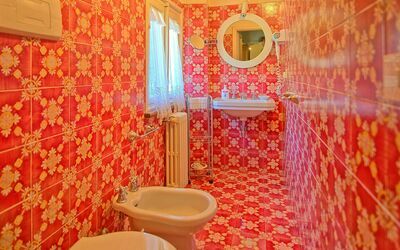 Small pets are permitted only upon request. 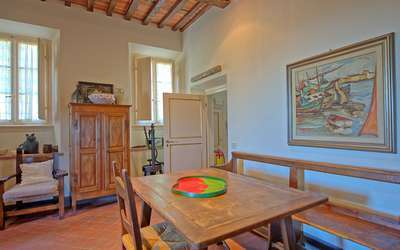 Ground floor: entrance hall, large kitchen (freezer, oven, professional oven, dishwasher, microwaves, slicer, Espresso maker, ice maker) with non-usable fireplace and access on to the outside. 3 steps down: dining-room, billiards rooms. 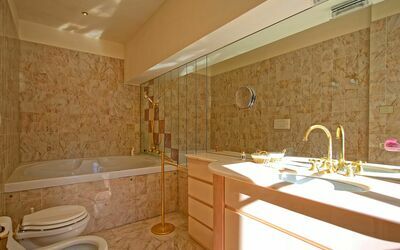 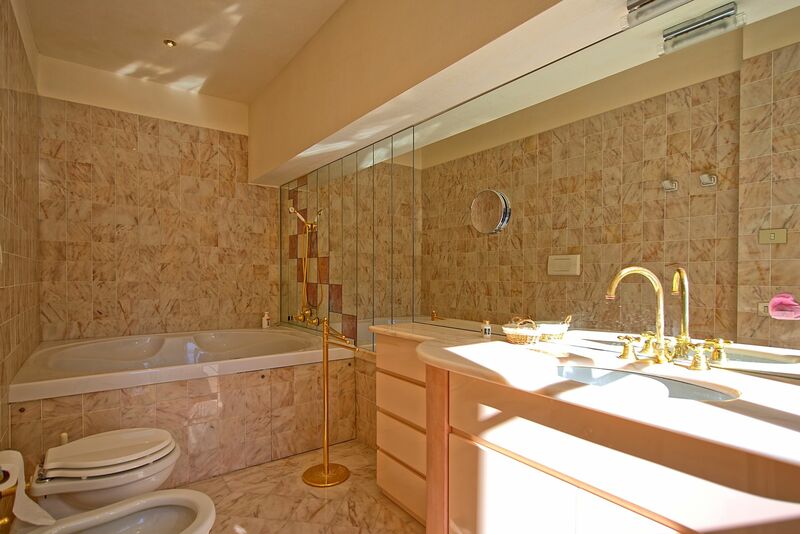 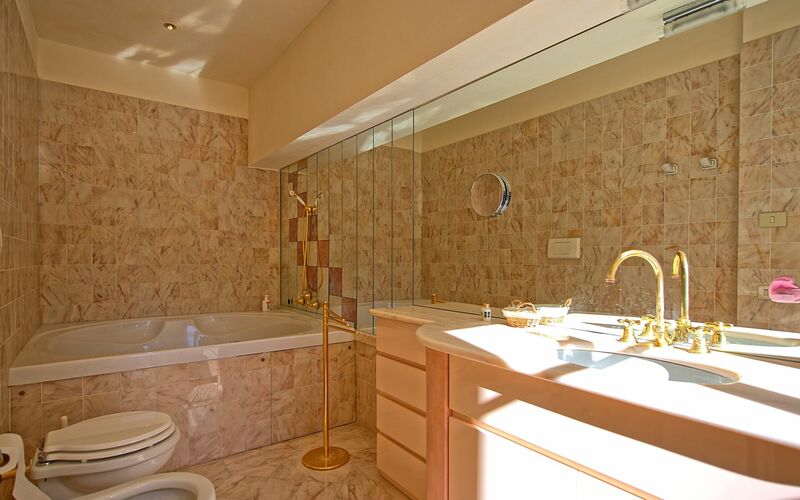 3 steps up: bathroom with shower. 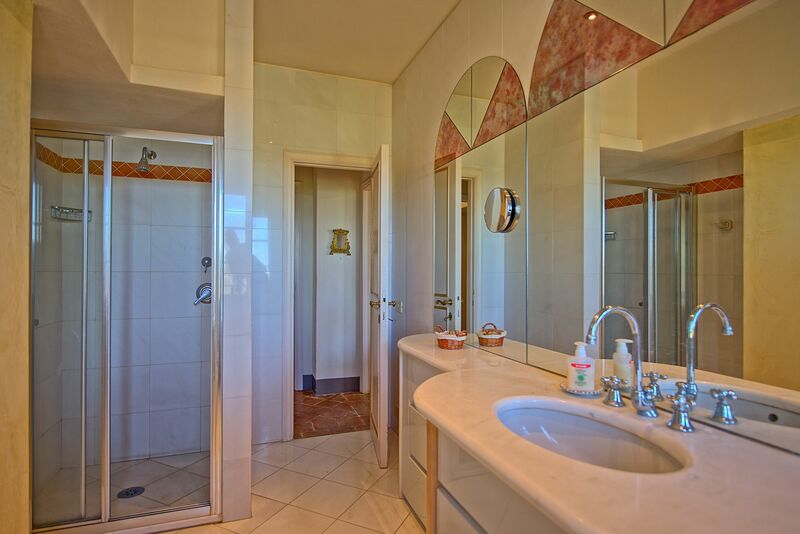 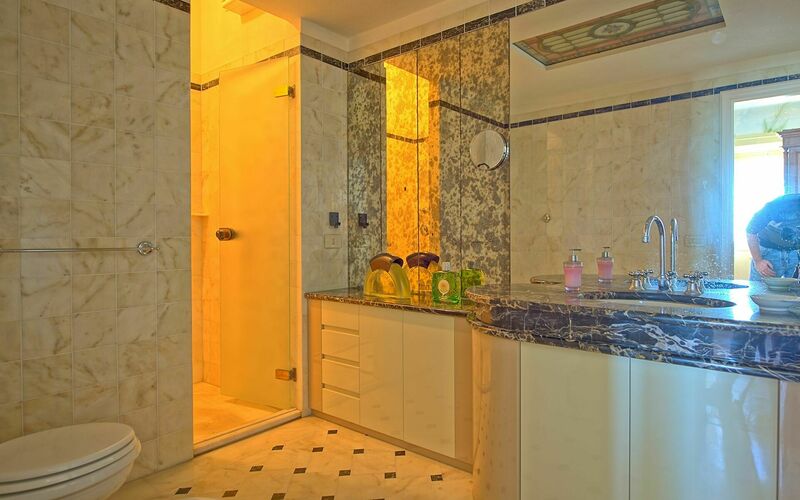 1st floor: living-room, suite with living area and double bedroom with ensuite bathroom with whirlpool bathtub, 2 double bedrooms with ensuite bathroom with shower, toilet. 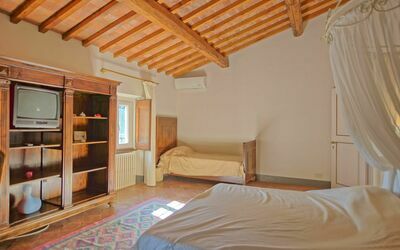 2nd floor: living-room (satellite TV), double bedroom with ensuite shower, toilet, living-room, twin-bedded room, double bedroom, bathroom with shower, living-room with laundry area, double bedroom with an extra single bed, bathroom with shower. Ground floor: large one-bedroom apartment with kitchen corner, fireplace, double bed and living area (satellite TV), bathroom with shower.